Israeli Business Culture - Galilee Travel, Inc.
A hands-on, business-oriented, case driven, cross-cultural preparatory seminar and coaching program delivered in Israel for foreign executives and employees planning or actively engaged in Israeli-based business ventures. Business Culture and Communications training provided by a Galilee Travel executive whose background involve over 30 years of developing trade and joint ventures between Israelis and their global partners. A "Doing Business in Israel" curriculum derived from actual global Israeli business ventures and real case studies of corporate-level communications and interactions between foreign executives and Israeli businesspeople. 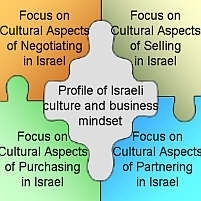 Lectures, discussions and exercises designed to effectively develop skills for understanding the Israeli business environment, culture, and mindset by leveraging cross-cultural concepts to explain and resolve the peculiarities of doing business in Israel. Each participant receives a 100 page copyrighted “Doing Business in Israel Guidebook” that serves as a platform for seminar and coaching sessions as well as a practical resource for succeeding in Israel after completion of the three-day training venue. Thirty days of post-program phone or e-mail consultation included in every “Doing Business in Israel” seminar or coaching program. 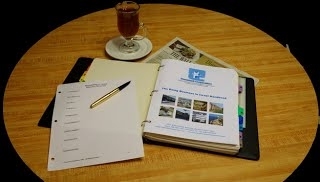 The “Advanced” Doing Business in Israel program is a vigorous and intense preparatory venue that leverages academic information, practical exercise and group deliberation to provide the highest levels of skill and preparation for succeeding, thriving and achieving excellent business results in Israel. First-day comprehensive session in which participants acquire an intimate familiarity with Israeli culture and society through presentation of multiple case studies and examples portraying the many facets of day-to-day life and work in Israel. This intensive preliminary daylong segment provides participants with an extensive set of skills and sensitivities that thoroughly prime their ability to comprehend, assimilate and adapt to Israeli cultural traits, both in and outside the business environment. Second day morning field exercises and observations. Visits to markets, retail establishments and other business venues in Tel-Aviv. Discussions and skills development sessions. Afternoon visitor lectures on Israeli business culture, communications, and negotiation. The third day of this course is devoted to an exceedingly customized and detailed review of Israel’s business culture and environment with expanded emphasis on the cultural, behavioral and communicative aspects influencing the successful execution of specific business tasks in Israel. Relevant business tasks and objectives in Israel are individually characterized and explored by participants with knowledge tools derived from day one as well as numerous case study and simulation exercises.